Award-winning, purpose-built conference venue, on a quiet mews by Cavendish Square & Oxford Street. Between The Langham & Harley Street, the light and airy, tiered seated Auditorium boasts tables for all delegates and high ceilings – ideal team building and team development events, product launches and conferences. Voted Best Conference Venue Customer Service several times, it is easy to see how Cavendish Conference Centre is so prestigious. 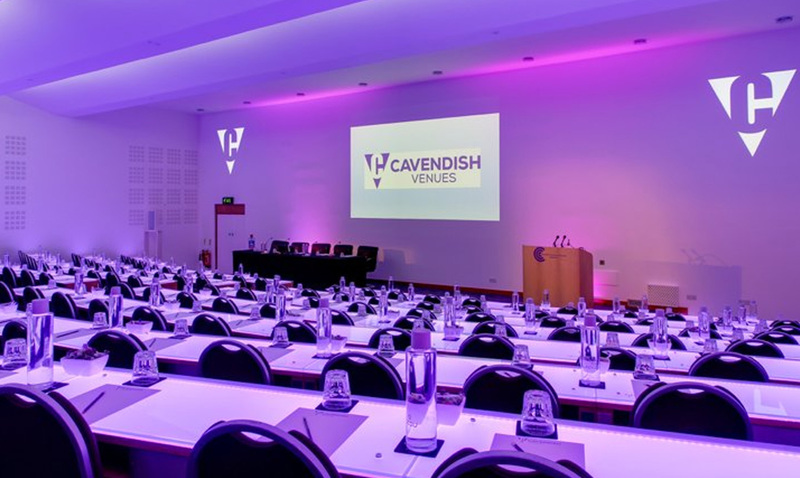 Cavendish Conference Centre is part of Cavendish Venues which also includes 5 other Central London venues including Asia House, America Square, Conway Hall, De Morgan House and Hallam Conference Centre. The group offers a range of modern and more traditional venues, with a strong emphasis on outstanding conferencing facilities. Cavendish Conference Centre is the perfect location for larger groups, wanting to be very central with great transport connections and with use of state of the art high-tech conference facilities. Ideal for: Scotland Yard Rookie, GPS Treasure Hunts, Crystal Maze Events and Much More.